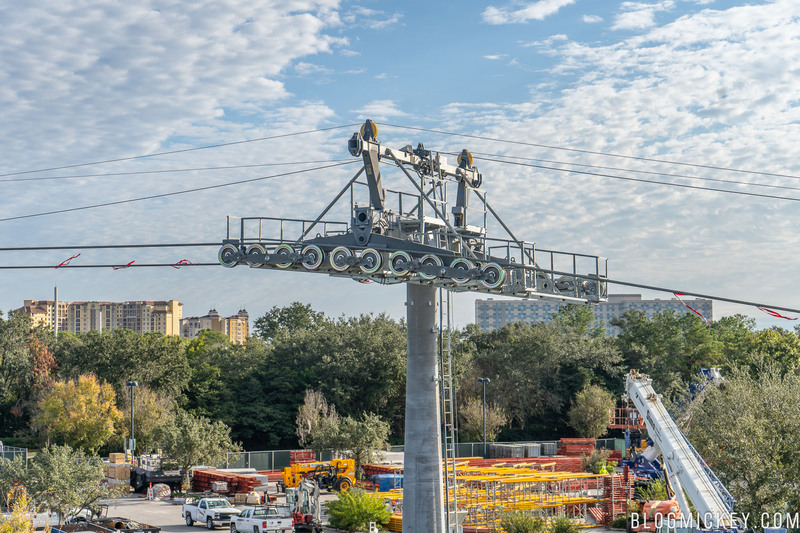 With the Disney Skyliner gondola system set to open in less than a year, we wanted to provide an all-encompassing update on the system. 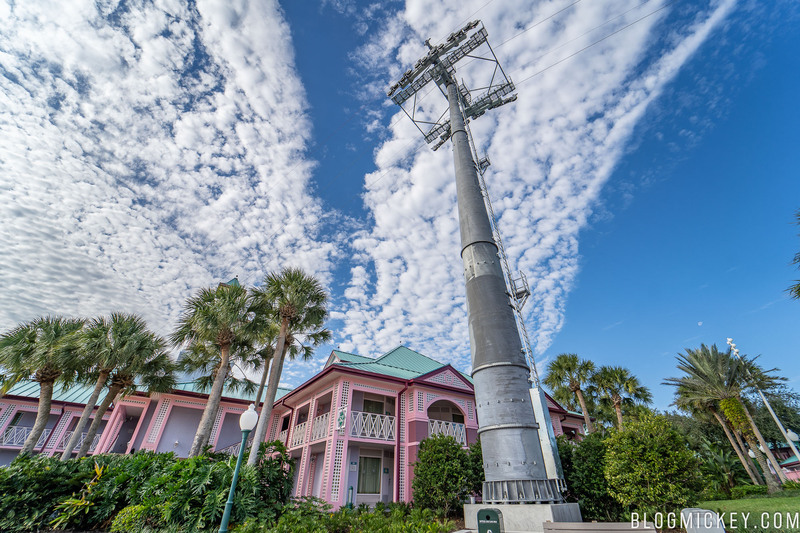 In this post, we’ll cover the various theme park stations as well as all of the resort stations. 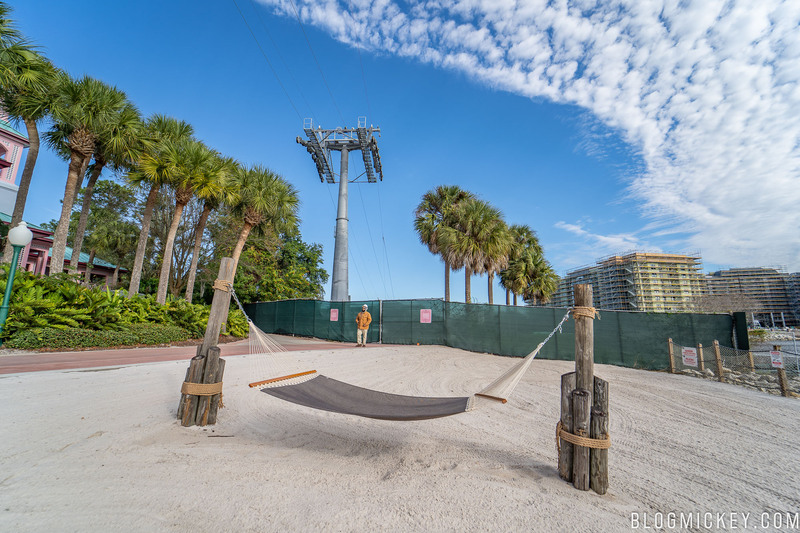 We also have a video from yesterday morning of a guide wire cable pull through at Disney’s Caribbean Beach Resort. 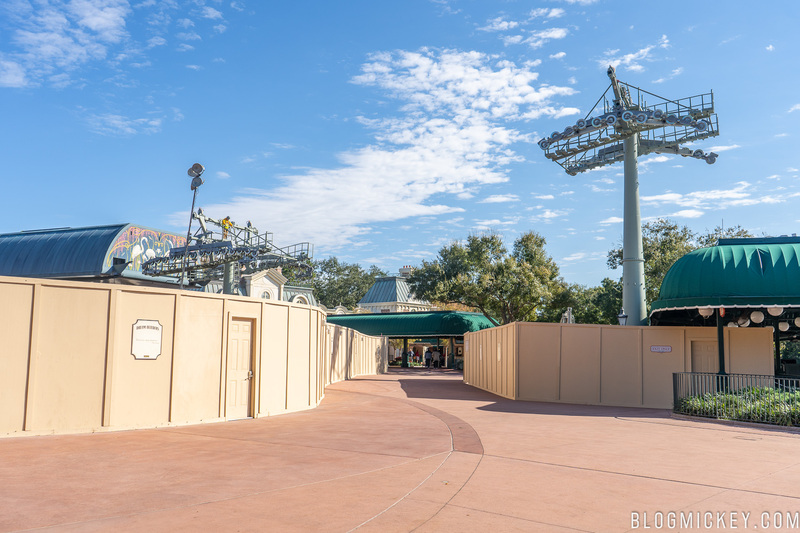 We start our update at Disney’s Hollywood Studios. 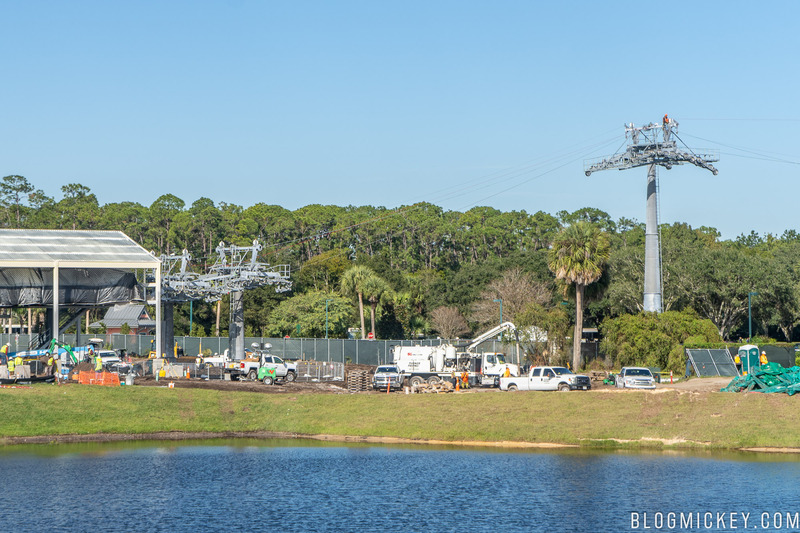 It’s here at Hollywood Studios that we first saw a gondola station go vertical and the beginning of the cable installation. 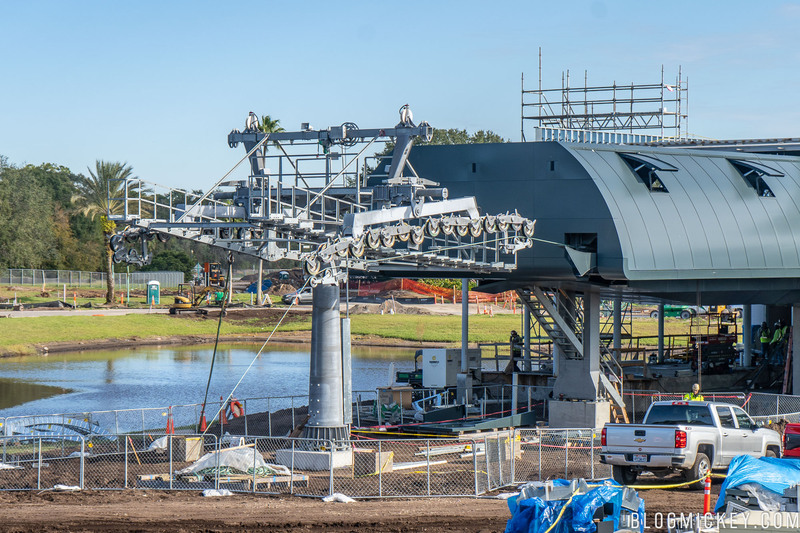 Today, the heavy haul cable is installed and facade work is ongoing. 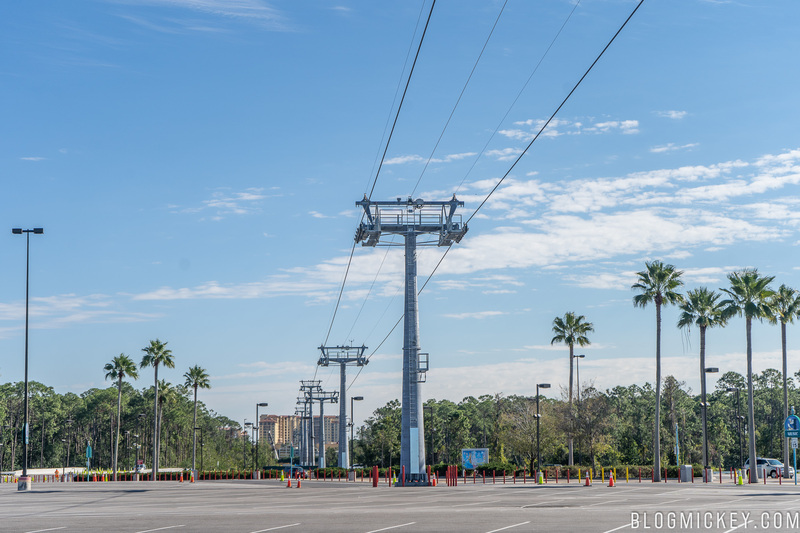 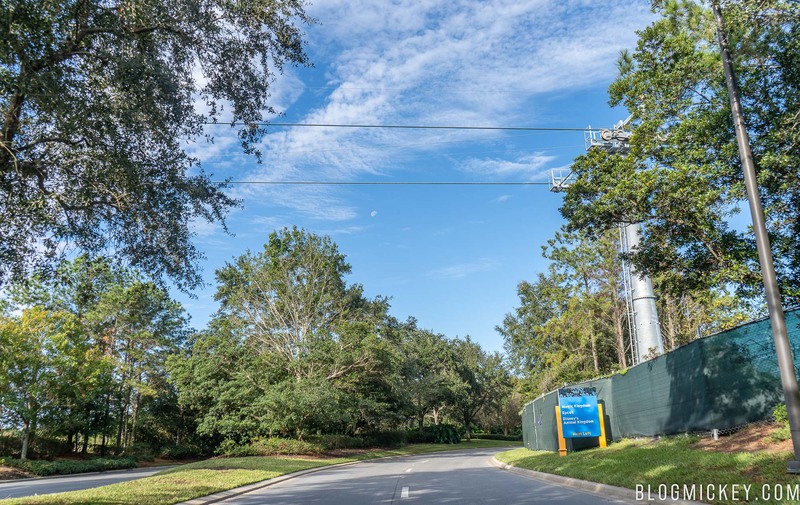 Disney Skyliner gondola cabins will be visible past the parking plaza. 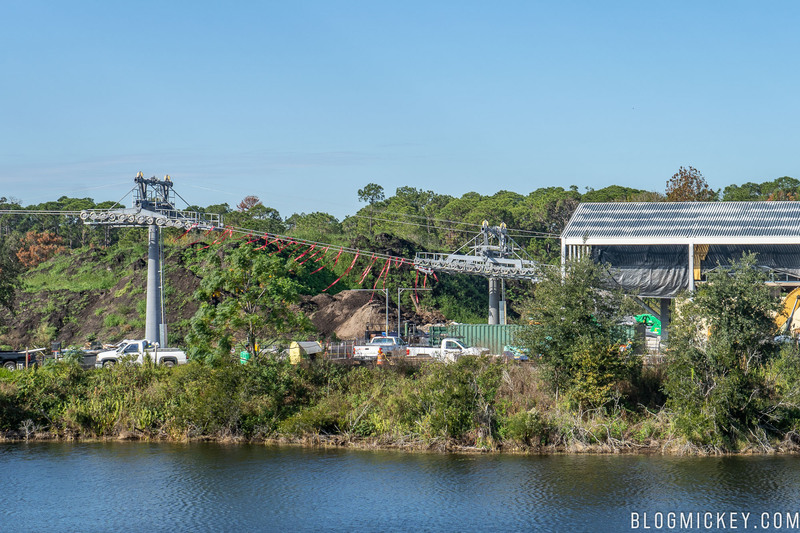 You can just see the cable in the treeline past the structure. 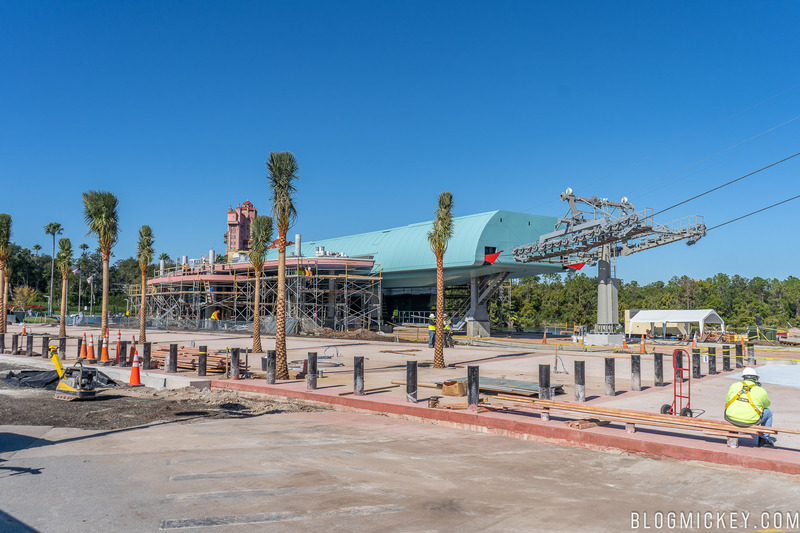 Cars will drive under the cabins. 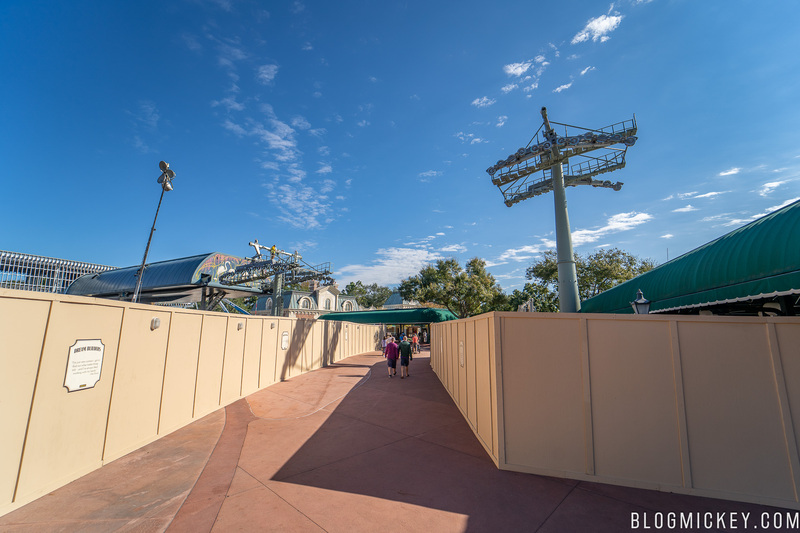 Landscaping is in around the Hollywood Studios Disney Skyliner station. 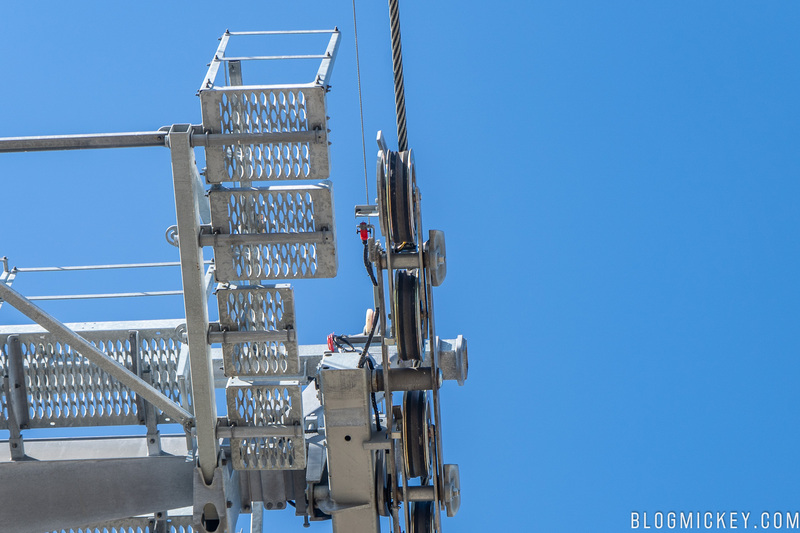 The heavy haul cable is installed. 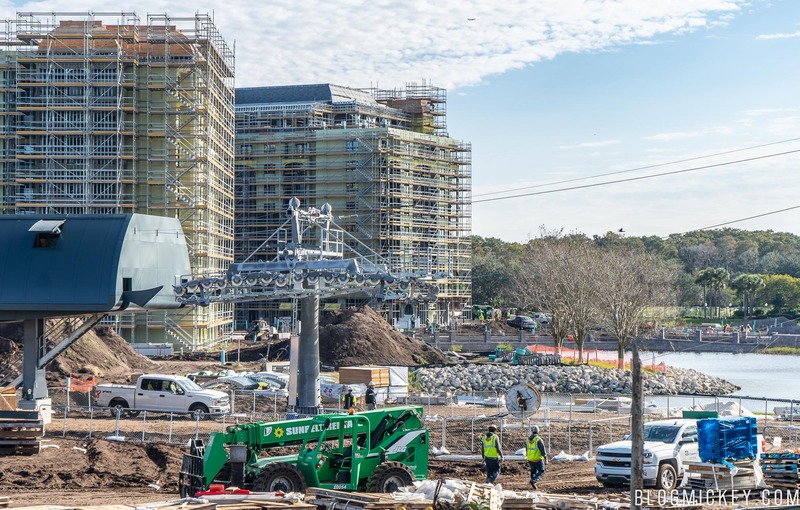 Here’s a look across the parking lot at the Disney Skyliner towers lined up towards the Caribbean Beach Resort station. 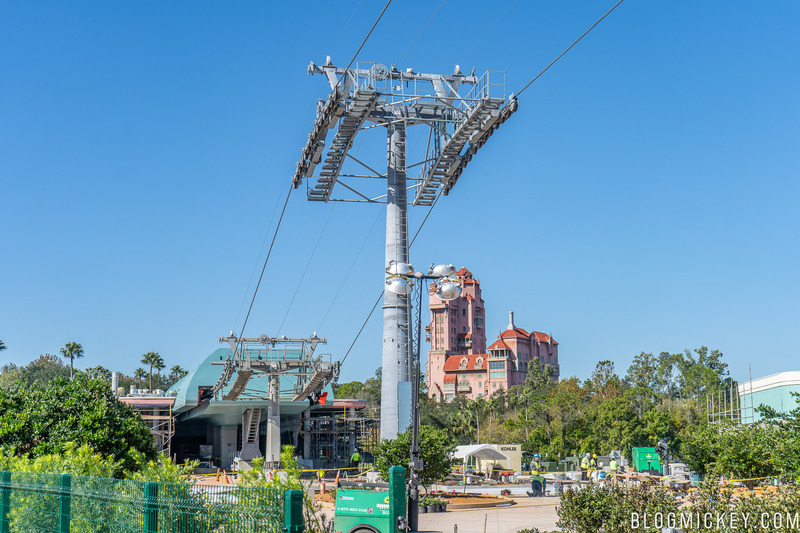 Here’s a look at the final two towers as they approach the Disney Skyliner station at Disney’s Hollywood Studios. 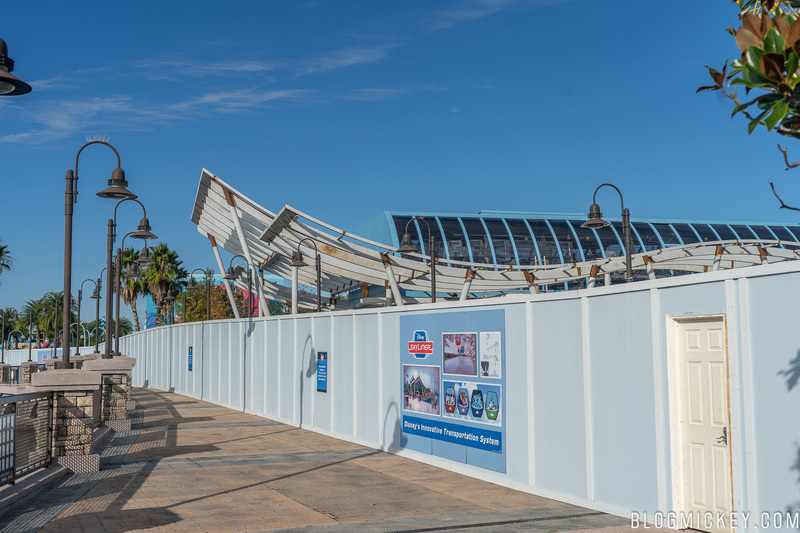 The Epcot Disney Skyliner station is located at International Gateway. 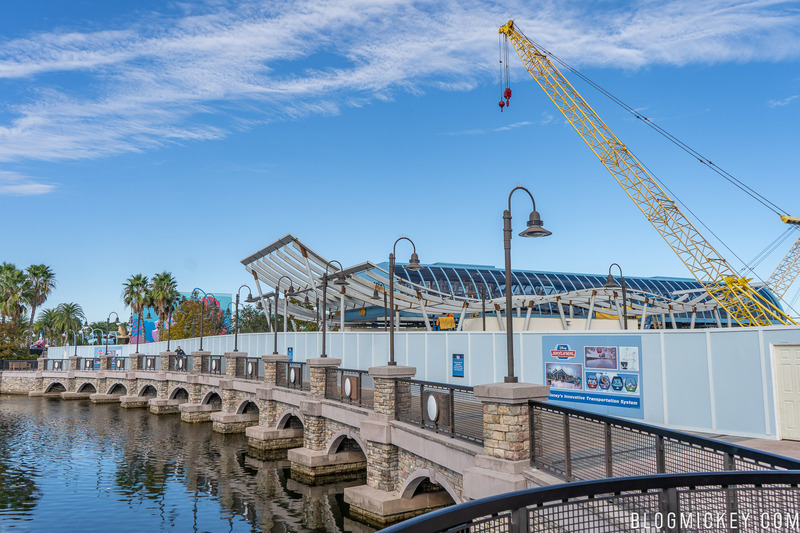 The station is mostly constructed and final preparations are being made for a cable pull. 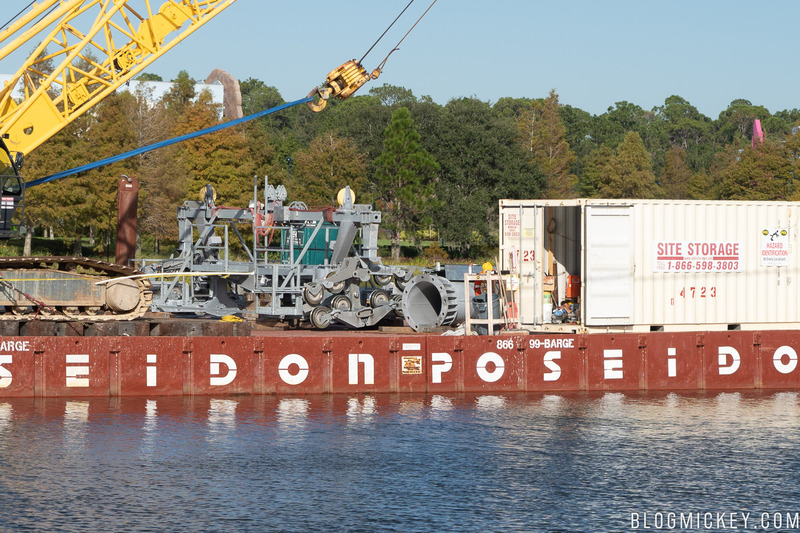 The FriendShip boat service is scheduled to suspend service today to allow for the cable installation over the coming weeks. 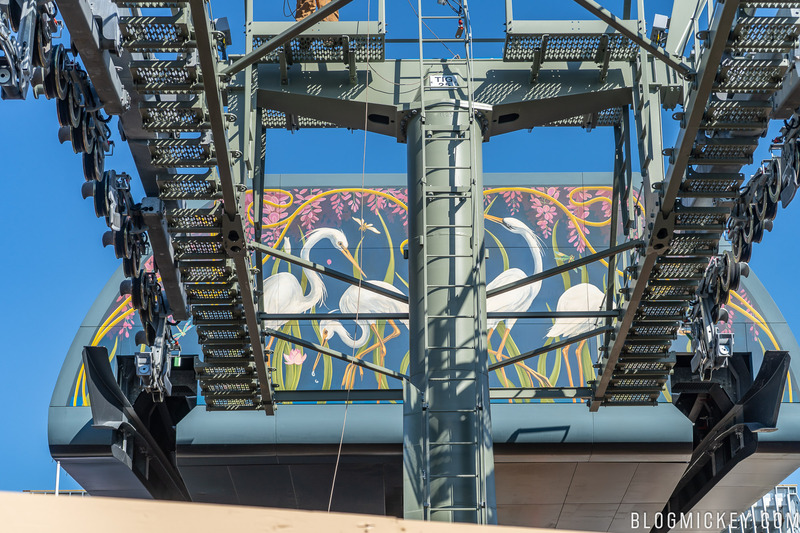 The mural that we first spotted over a month ago appears to be completed now. 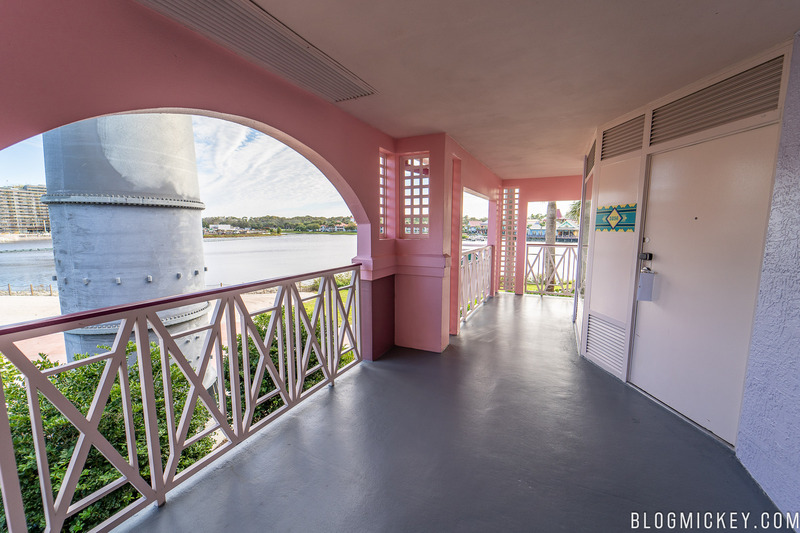 Making our way over to the connected resorts, we arrive at Disney’s Caribbean Beach Resort. 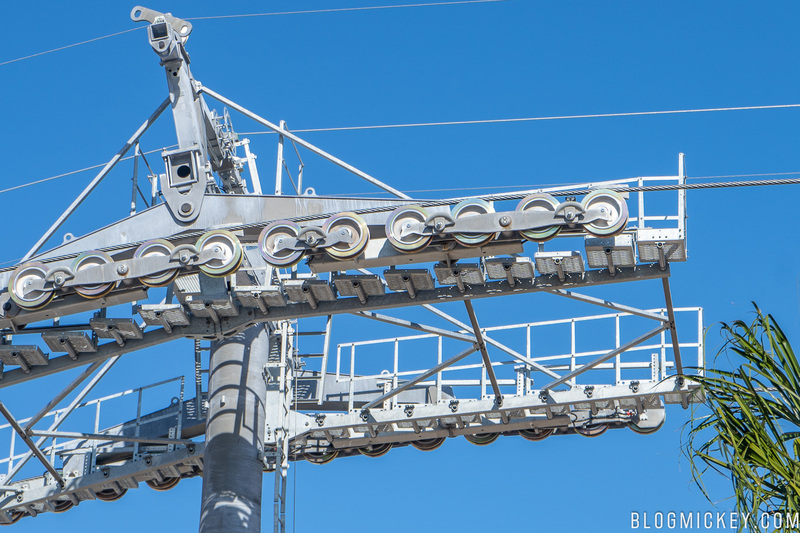 This location will serve as the hub of the system with three lines exiting from a single station. 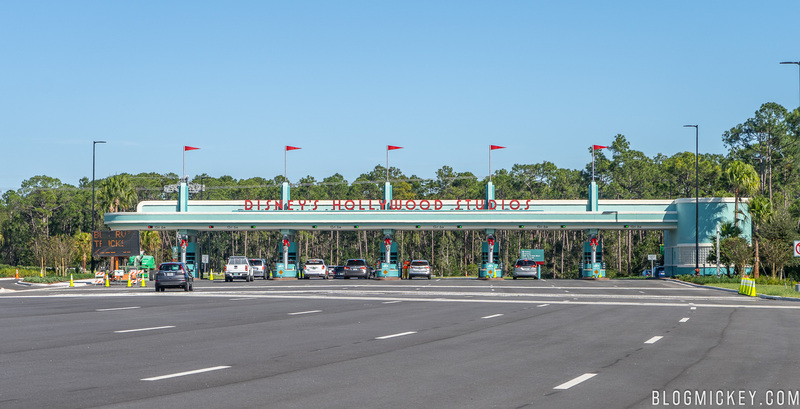 To the south is the Pop Century/Art of Animation resort line, to the north is the Disney Riviera/Epcot line, and to the west is the Hollywood Studios line. 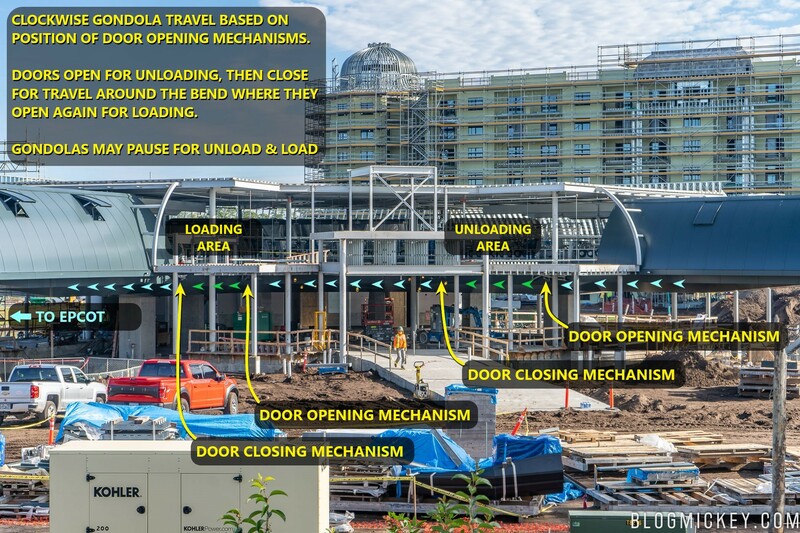 The Pop Century/Art of Animation line has the heavy haul cable installed. 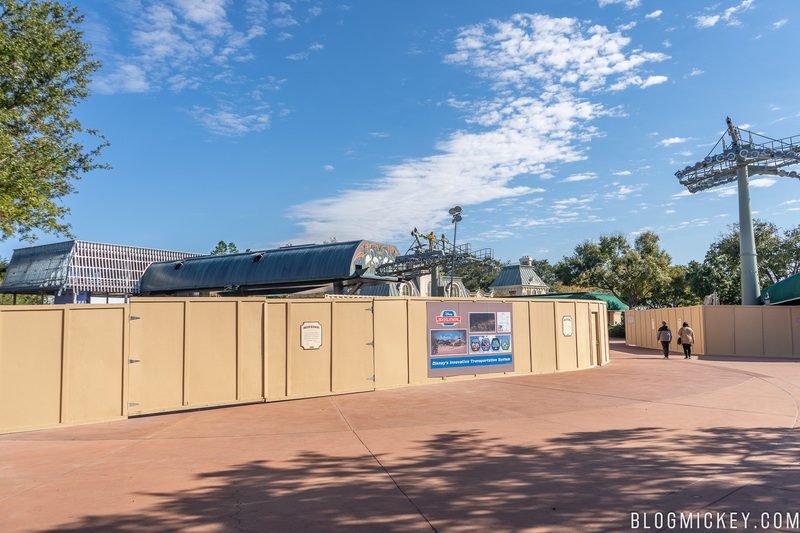 The Disney Riviera/Epcot line had a cable pull yesterday morning. 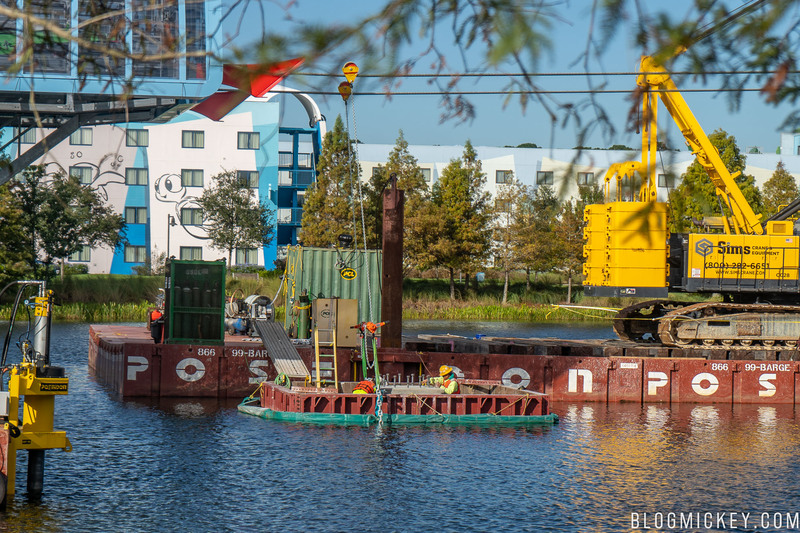 We have a short video of the pull below. 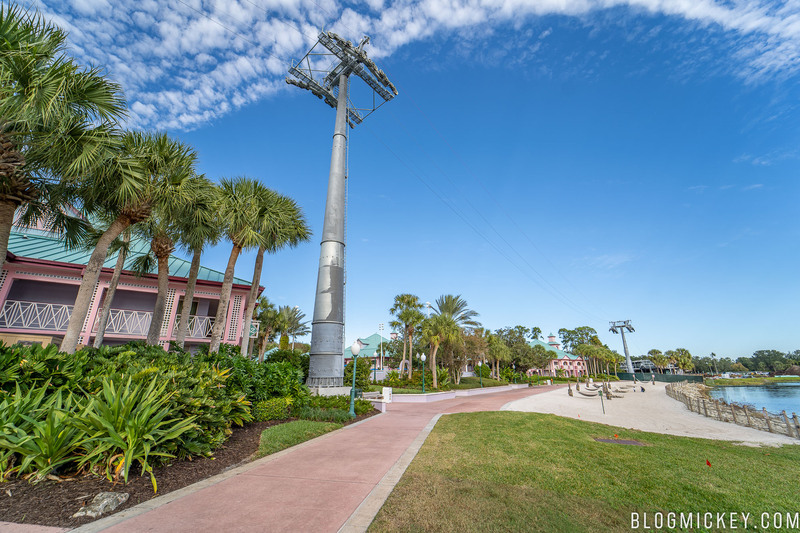 The Aruba section of the resort will be the most affected, with Disney Skyliner towers installed along the beach and even right next to some rooms. 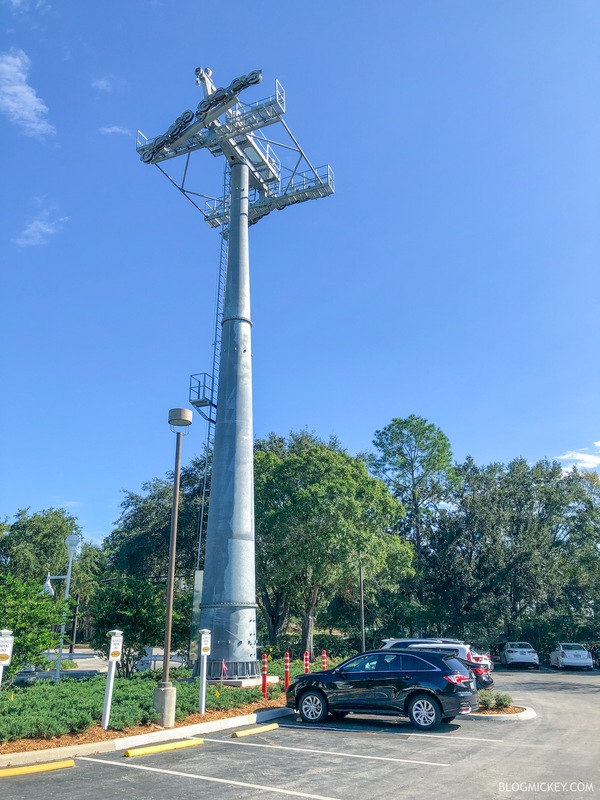 Here’s a look at the close proximity of the tower to one of the buildings. 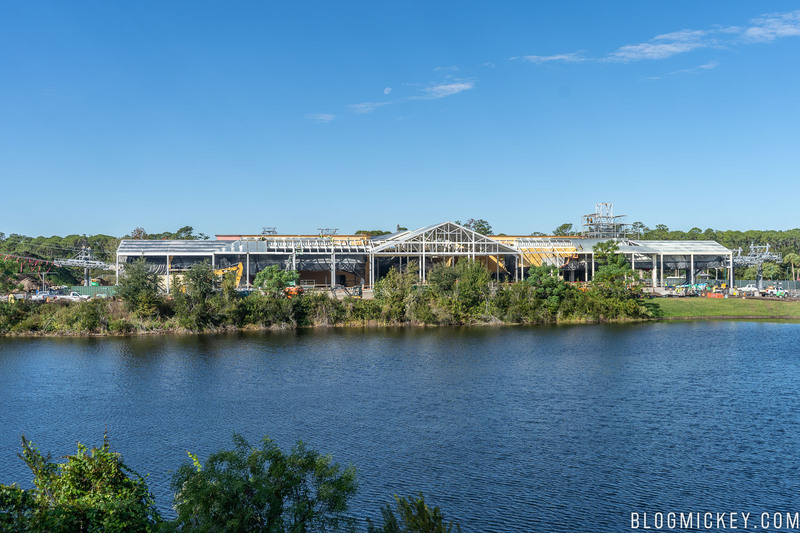 Set to open next fall, Disney Riviera Resort is currently under construction alongside the north part of the Caribbean Beach Resort lake. 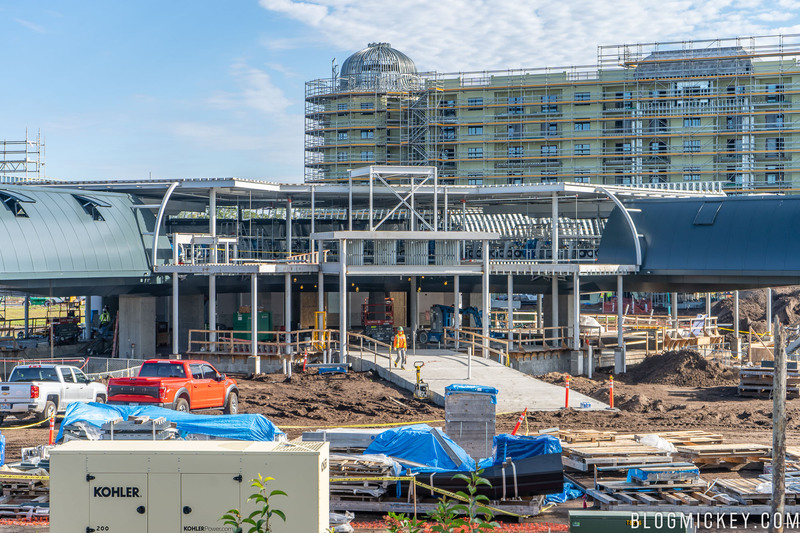 The new DVC property will have a station that will be shared with the Aruba section of Disney’s Caribbean Beach Resort. 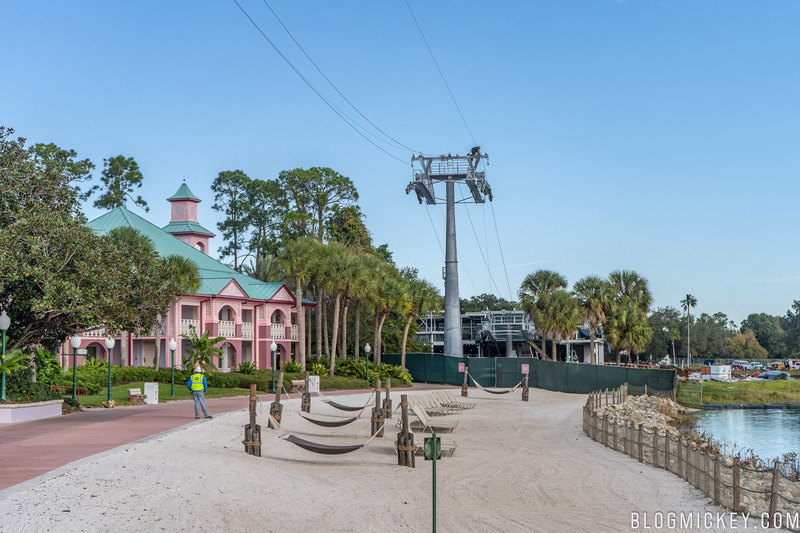 As you can see below, the cable installation is underway on the Caribbean Beach Resort side of the station. 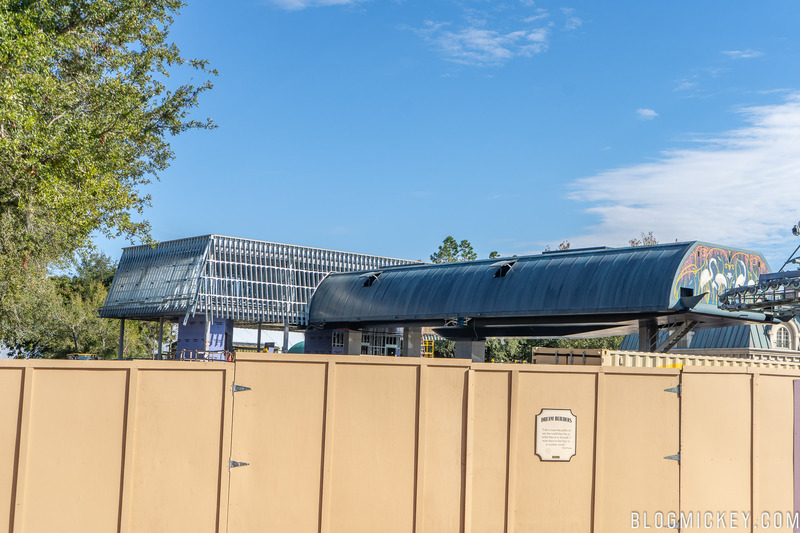 The line terminates on the Epcot side of the station, but it will be utilized soon. 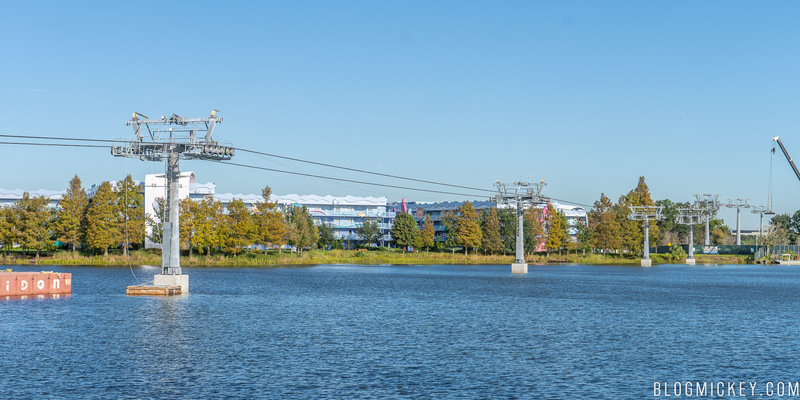 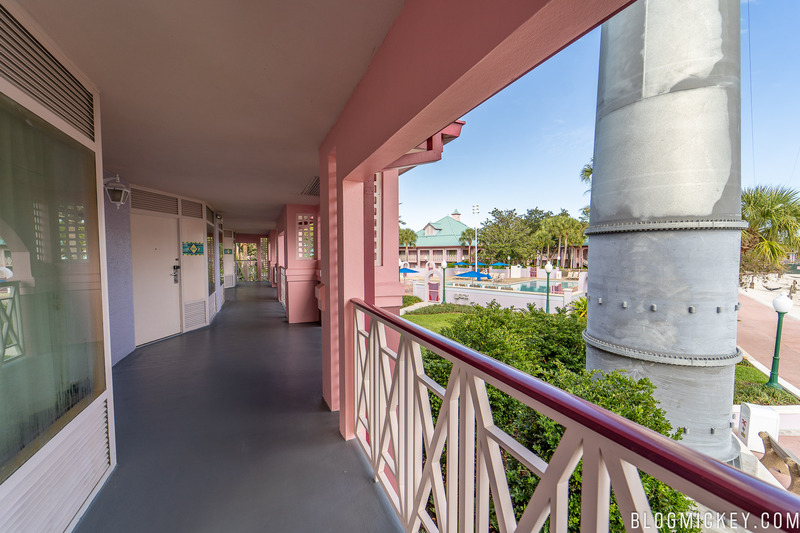 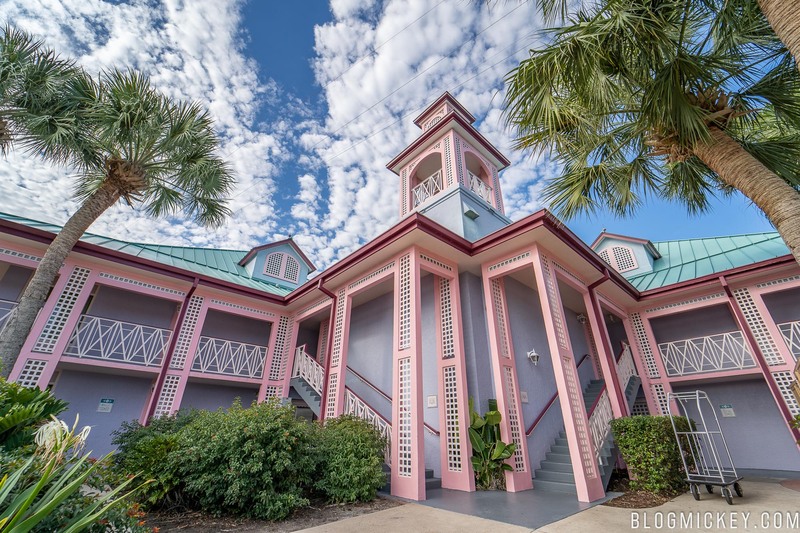 While there is no station or stop at Disney’s BoardWalk Inn, guests staying at the resort will surely feel the impact of the Disney Skyliner gondola system. 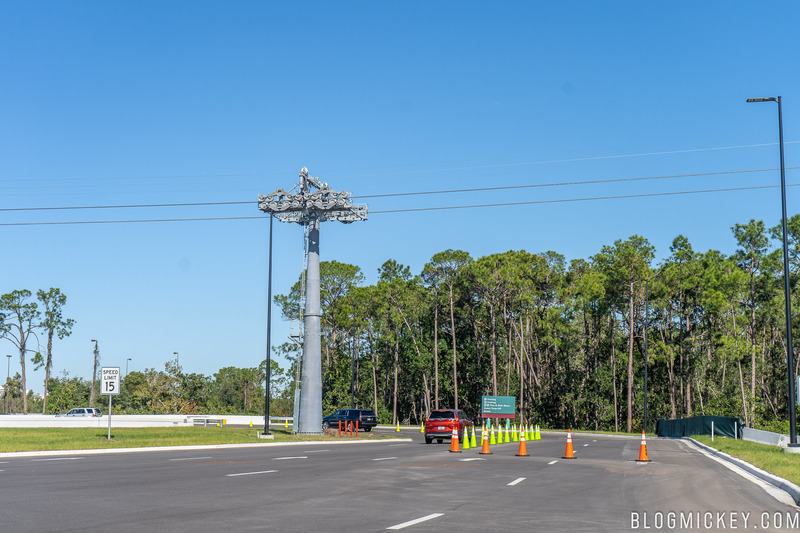 Towers run through the parking lot and right next to the guard gate. 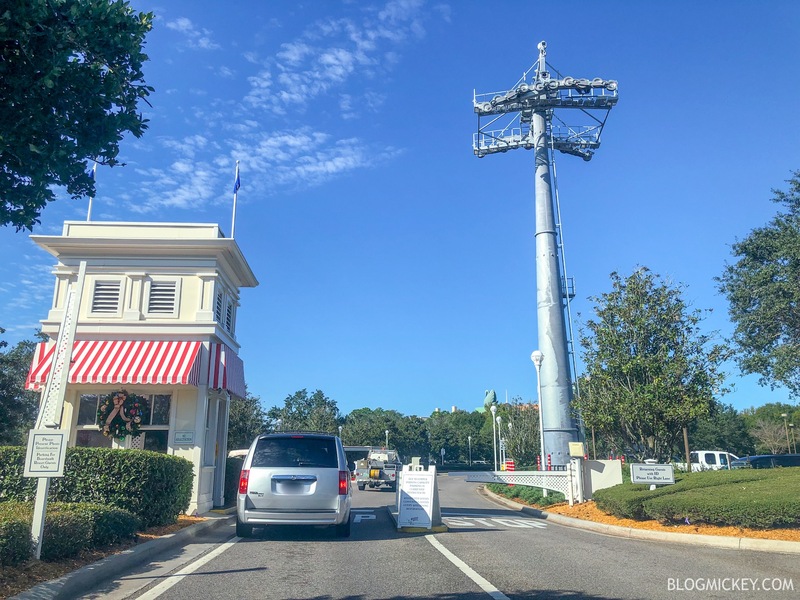 A turn station redirects the Disney Riviera to Epcot line near the south end of the parking lot. 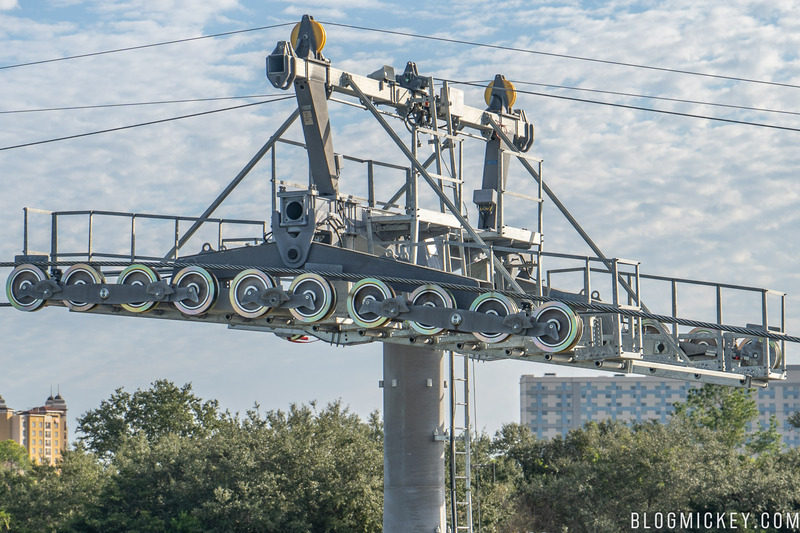 Finally, we arrive at the southernmost section of the Disney Skyliner gondola system at the shared Pop Century and Art of Animation station. 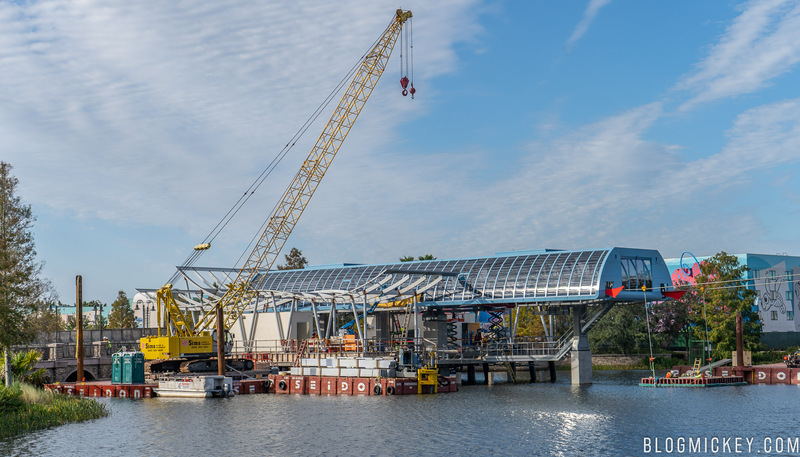 The station is shared on the Hourglass Lake bridge and the gondolas will travel across the top of the lake as they make their way to Disney’s Caribbean Beach Resort. 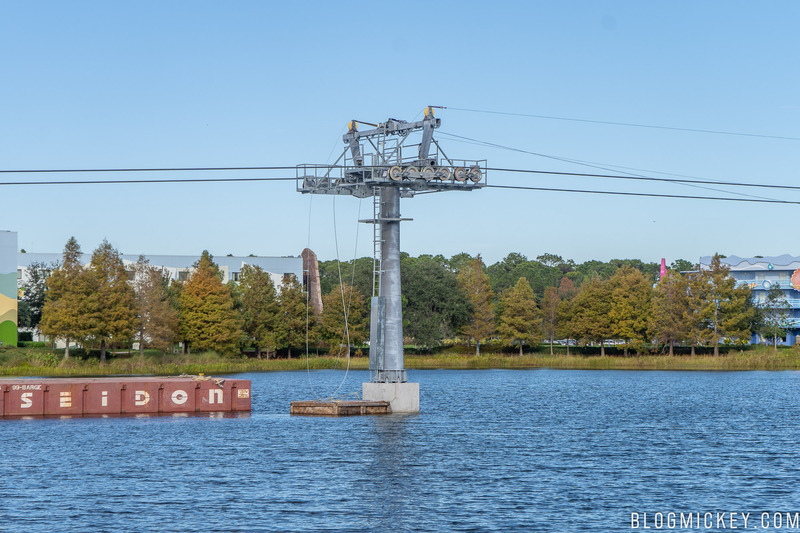 Here’s a look at the heavy haul cable installed across Hourglass Lake. 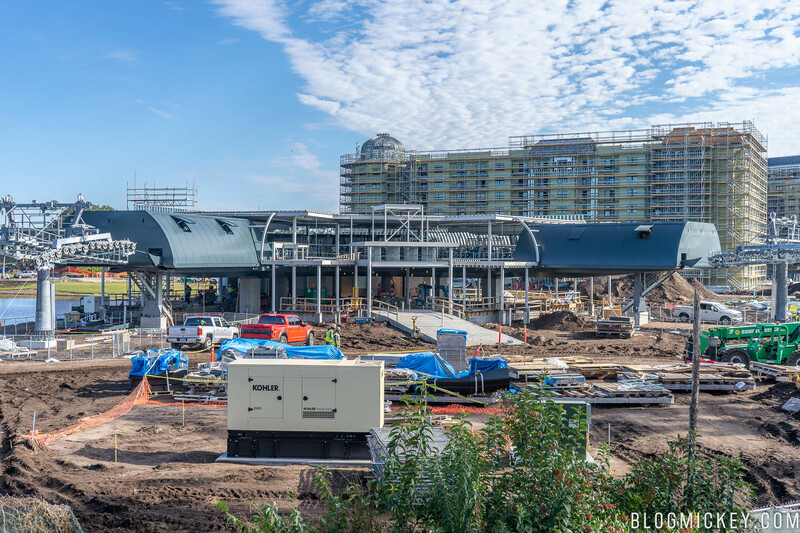 A final tower is being installed next to the station. 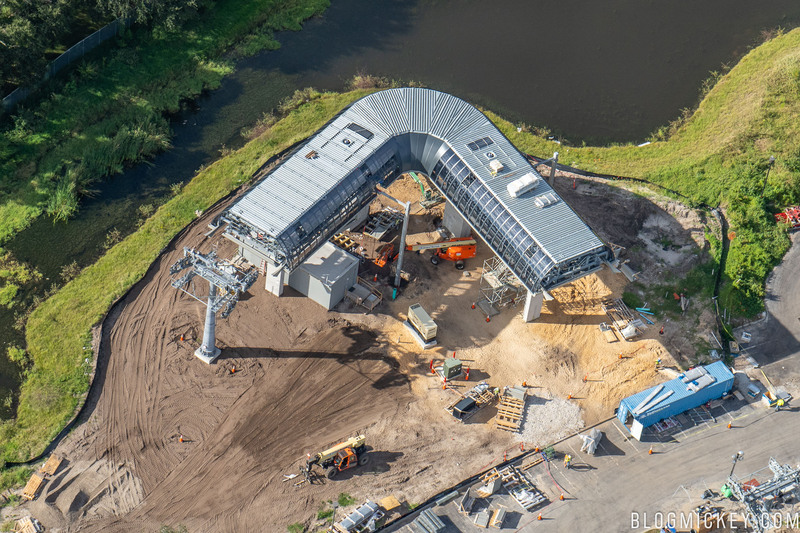 Here’s a closer look at one of the towers. 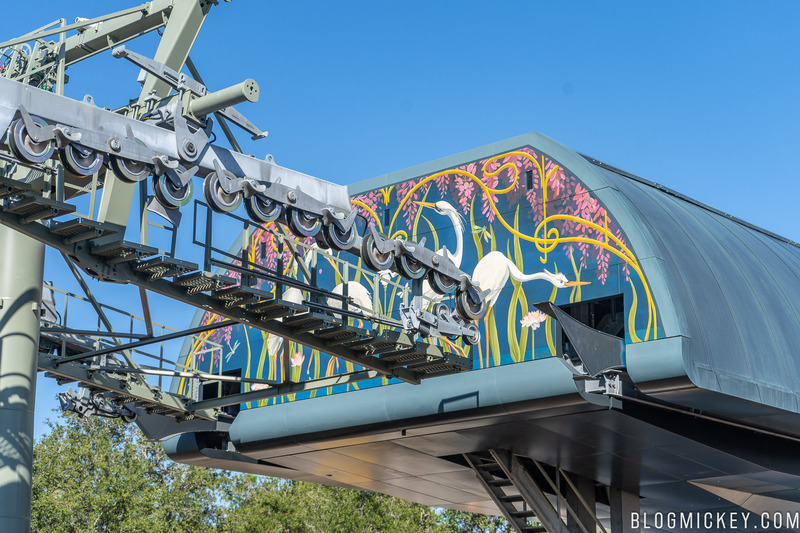 Guests exiting the resort will drive under the gondolas. 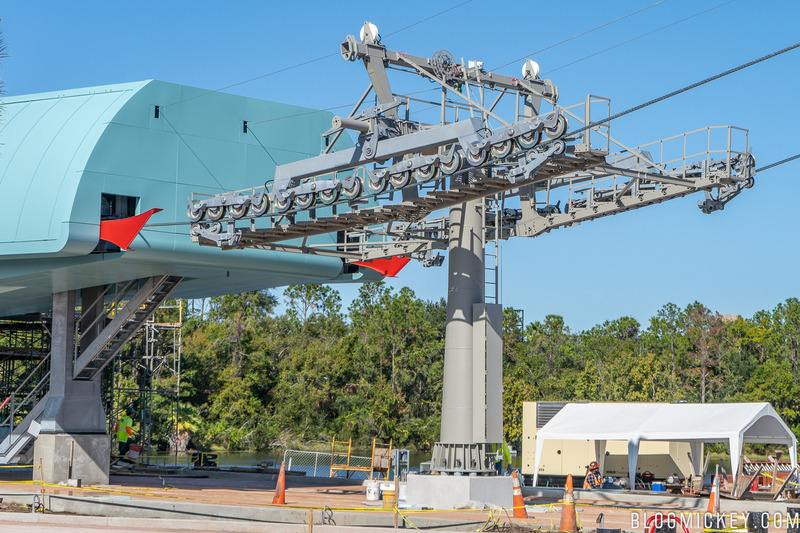 The Disney Skyliner gondola system is scheduled to open in fall 2019, according to Disney.